Home » News » Don’t miss Five Live! FIVE LIVE. 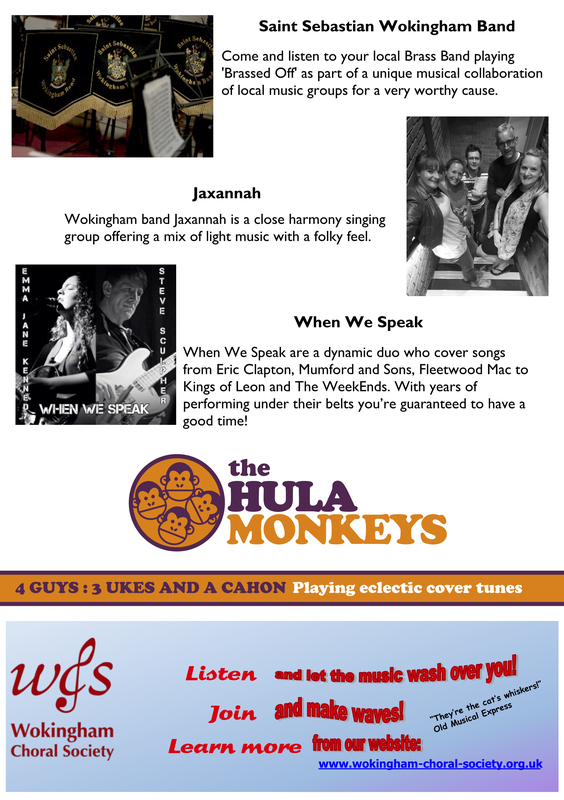 Local musical talent. 15th October, 7:30pm. Whitty Theatre, Luckley School, Wokingham. Details below. 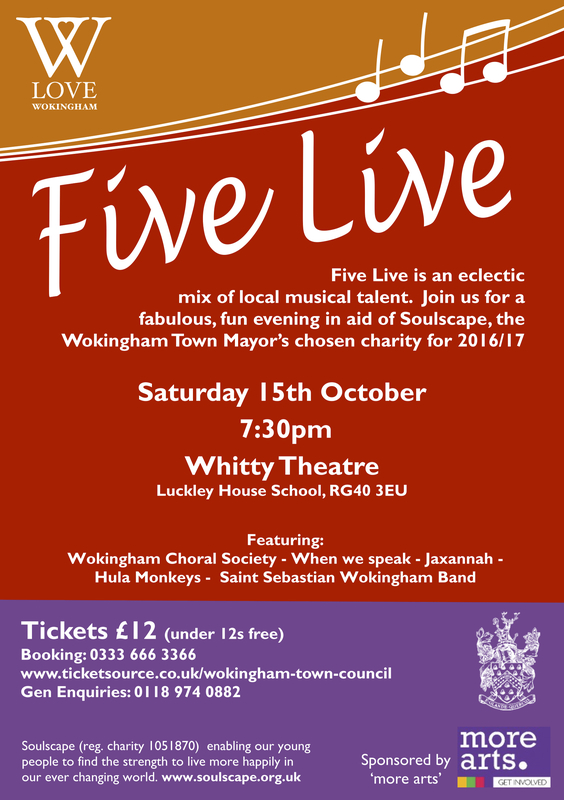 Proceeds to Soulscape, Wokingham Town Mayor’s chosen charity. Come and join the fun! What’s not to like? See you there!